This weekend, I attended a cheese making class in the Swan Valley with my Dad, run by The Cheese Maker, which was a Father’s day present for Dad. In the class we got to make our own Camembert to take home as well as learning how to make cream cheese, quark and mascarpone (which seem surprisingly easy). 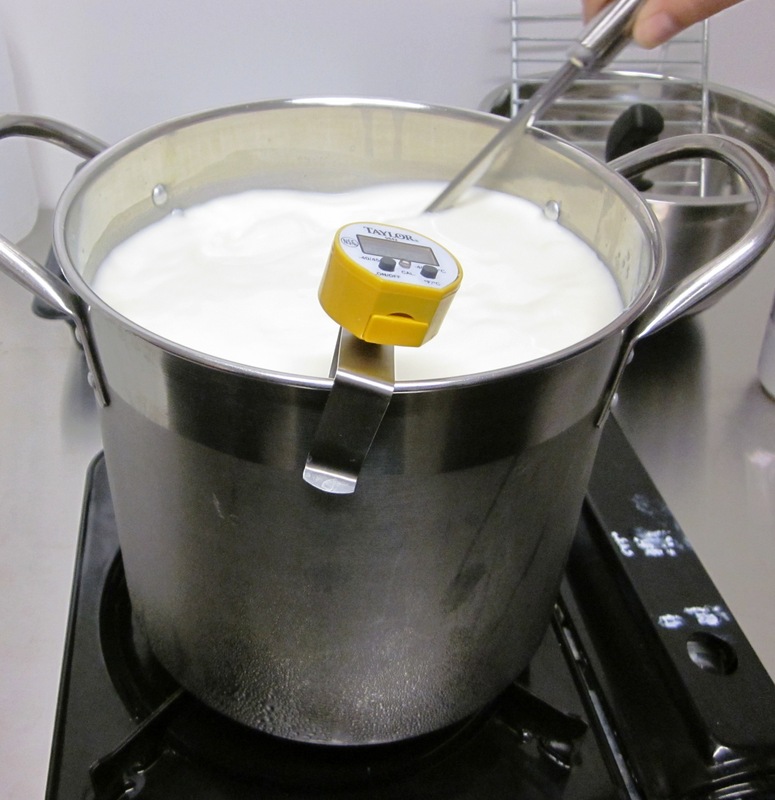 Aside from the starters, rennet and calcium chloride that you have to add in small amounts (depending on the cheese), all of the cheese are made with shop bought milks and creams, so they are possible to replicate at home. I really enjoyed the day, and I think my Dad did too. Dad and I were in different groups (each group of 4 did a batch), I made a white camembert while Dad made a blue one (the only difference is the mould spores you use). The photos are from my group. We had a lovely lunch (cheese board – I liked the cheese so much I bought them to take home) which was included in the class cost. We also got to taste a cheese from a previous class and it was surprisingly good, so hopefully our’s will turn out just as well.